Looking out of our B&B window it was chucking it down and we could not see Ponden Reservoir which was visible yesterday when we arrived. 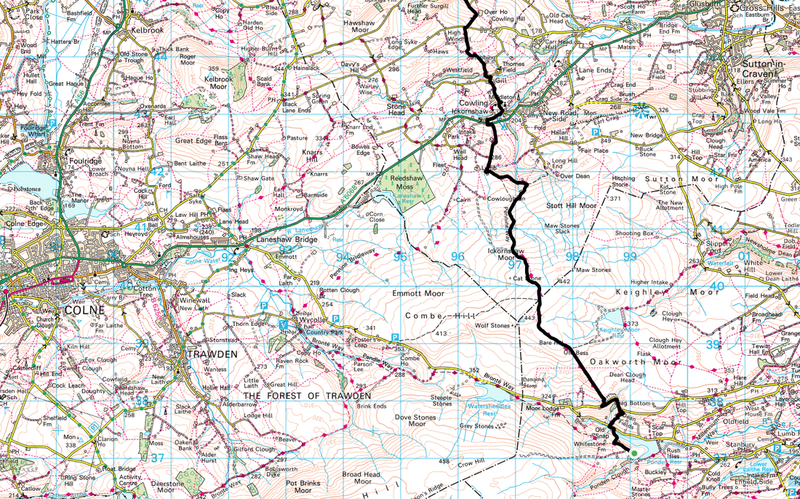 This did not bode well for what was a long leg of the walk over exposed moorland for much of the day. 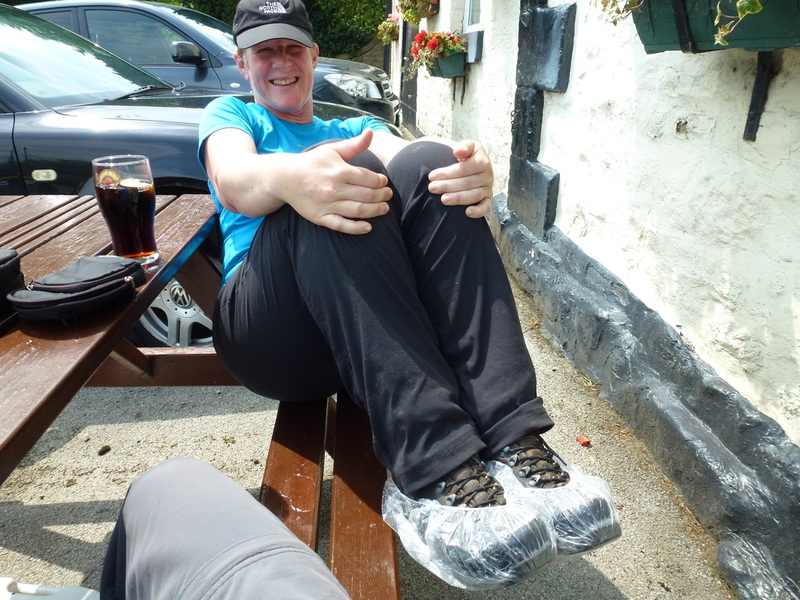 When planning a long distance walk, the weather is always in the back of your mind and the joy of these types of walks is that no matter what the conditions are you have to get to your next night's destination somehow! Buoyed by a decent breakfast we gathered our stuff together and stepped out into the humidity and gloom - at least it had just stopped raining. Ascending along a steep and quiet lane, we passed Ponden Hall and after a short while we were soon making the gradual ascent of Old Bess Hill. 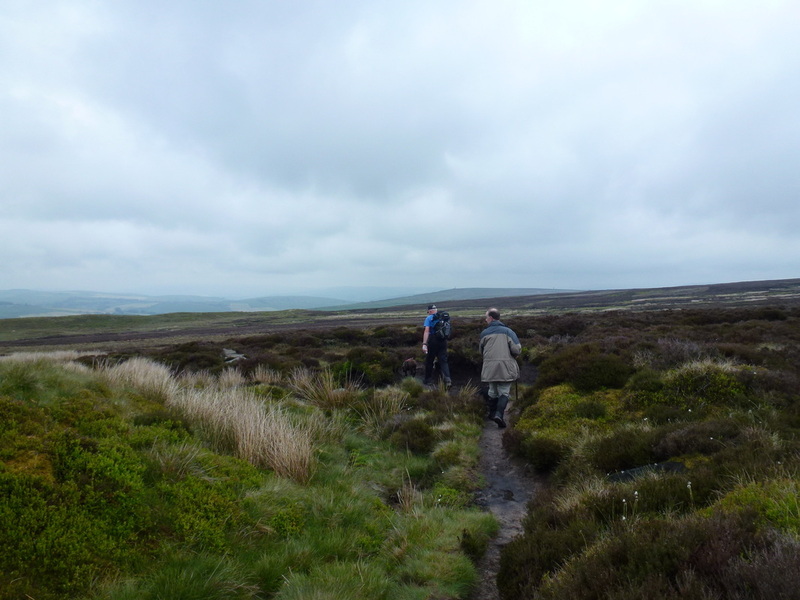 This was featureless walking on lonely and deserted moorland, particularly in the gloom of the day but we were heading forward and on good terrain. 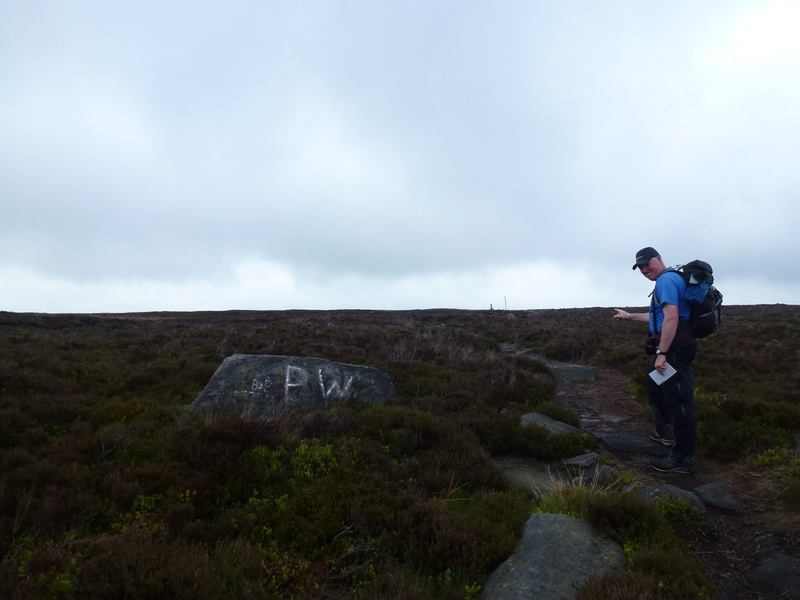 Near the summit of Old Bess we met a young trainee Doctor who was carrying a bag of rubbish. 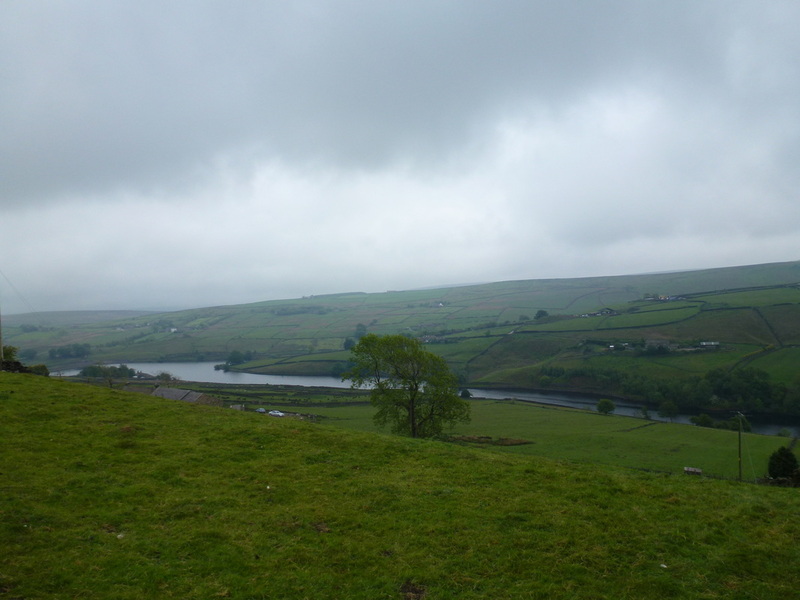 She was walking a section of the Pennine Way from North to South and had gathered up other peoples crap on her way out of Cowling. Good on her. Leaving Old Bess, to the left we could see the Trig Point on the top of Wolfstones but resisted the urge to bag it - we had enough to do today. We had arranged to meet up with Rodney, along with his dog Buster who we knew from Cockers Online. 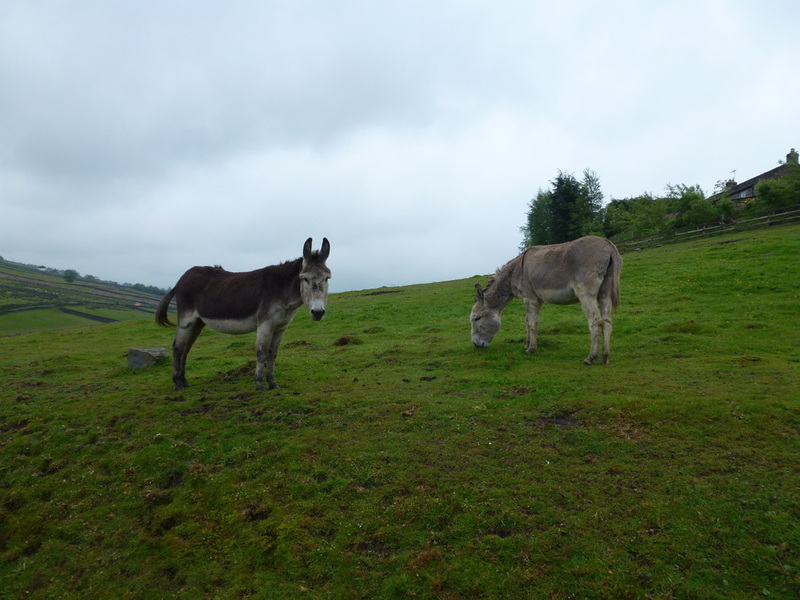 Rodney lived in Ickornshaw and he kindly agreed to meet us out on Ickornshaw Moor and walk back with us. 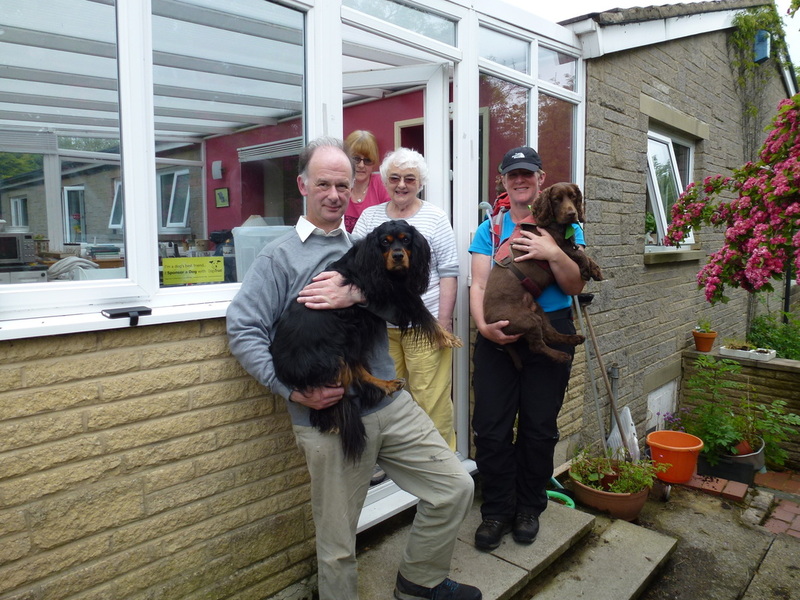 Reaching Ickornshaw, Rodney and his family invited us in for Coffee & Biscuits and it was lovely to meet such hospitality from people we had never met before. We could have sat there all day but still had a fair old march ahead of us. 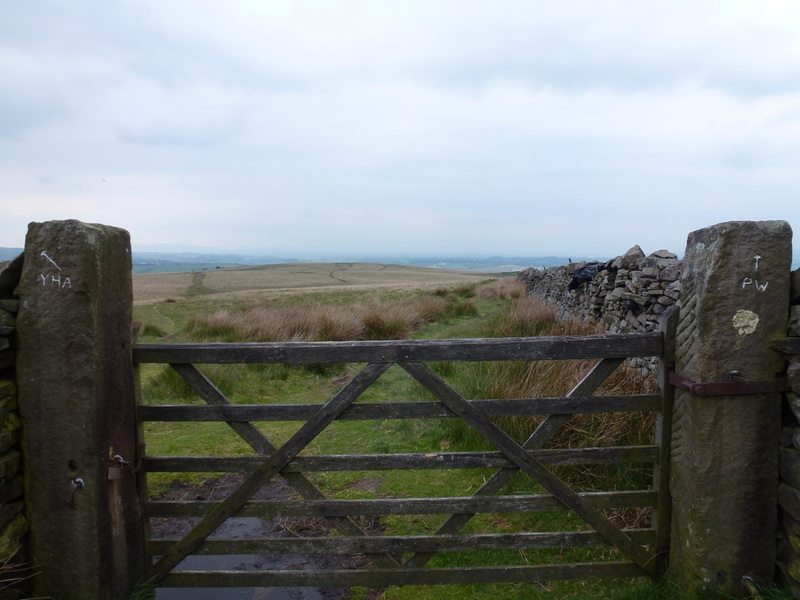 The path out of Ickornshaw rises gently and it was good to leave the dreariness of the moorland however we were treated to a display of muck spreading at Over House Farm that would have gagged a maggot. 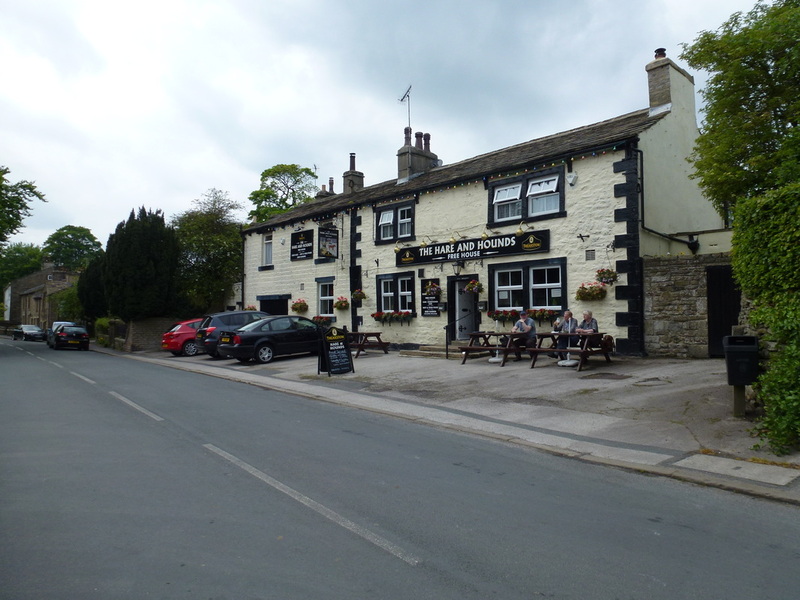 Undeterred, the weather had perked up a bit and we enjoyed a nice descent into the village of Lothersdale and were looking forward to a welcome drink in the pub there - how wrong we were! Reaching The Hare & Hounds we sat outside and Angie started reading the myriad of signage in the foyer stating they were not dog friendly and reminding walkers to either remove their boots or put on the overshoes provided - fair enough. Just as Angie was making her way through the tome of advisory literature the landlord came out and gave her an overbearing reminder as to the fact that she needed "to remove tha boots or put tha overshoes on". We had a quick drink and moved on - this man was not a good advert for the pub trade or Yorkshire hospitality. 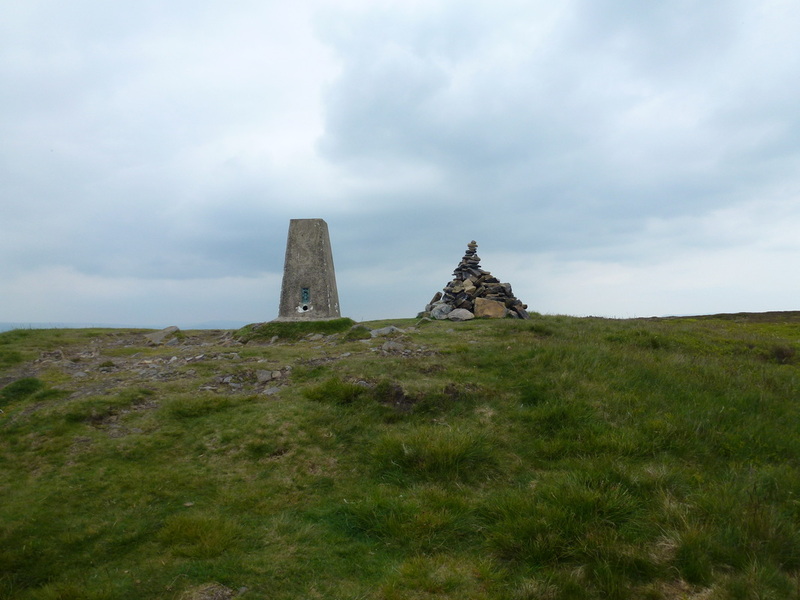 The route out of Lothersdale climbs to the summit of Pinhaw Beacon and on the way up we passed a large rambling group who were on their way back to Lothersdale. At the summit the visibility had improved and we were able to enjoy good views to the Southern Dales and over to Pendle Hill. Dropping down gradually from Pinhaw Beacon there was a short bit of road walking before reaching a junction where there is an option to leave the route for Earby Youth Hostel. 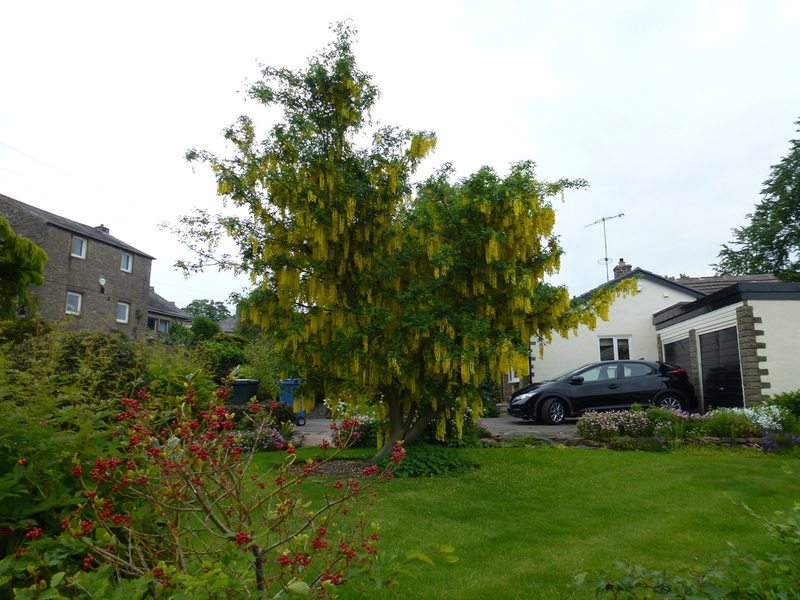 We carried on over slabs and duckboards keeping Brown House Farm in sight before dropping to a tree lined lane which led us into Thornton-in-Craven. Passing through Thornton-in-Craven the route travelled through some fields to reach the Leeds & Liverpool Canal before heading along the towpath to reach the Bridge on a Bridge at East Marton. 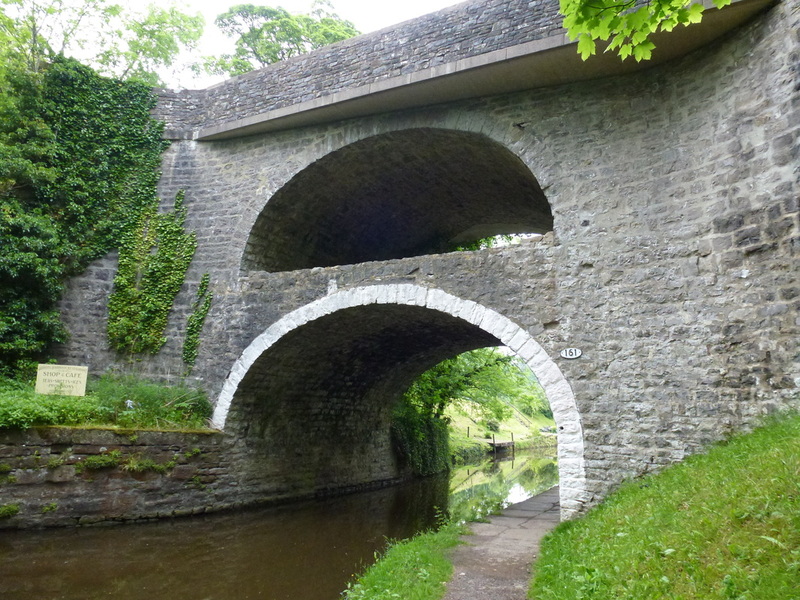 This odd-looking structure carries the busy A59 road over the canal. It would appear that after the original bridge was built the height of the road was raised to eliminate a dip, and as a consequence a second bridge was built on top of the first. 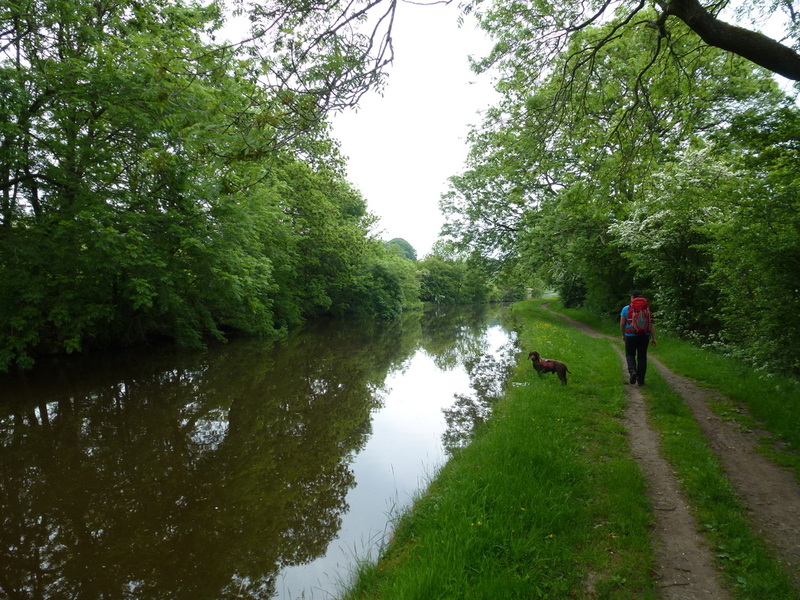 Shortly after passing the double bridge we left the towpath at Bridge 162 to join a quiet lane although the towpath could be followed all the way to Gargrave. 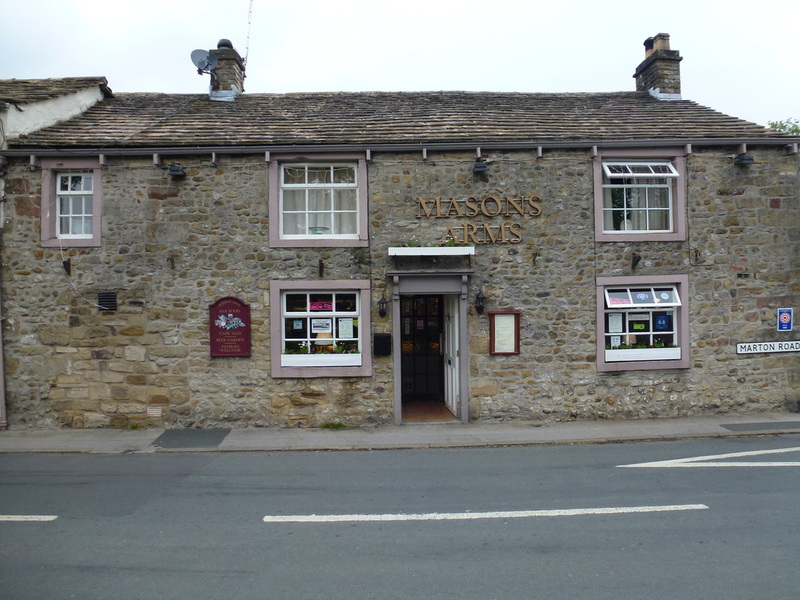 The final section to Gargrave was over fields before we joined the access track to Scaleber Farm to arrive slap bang outside our digs for the night - The Masons Arms. 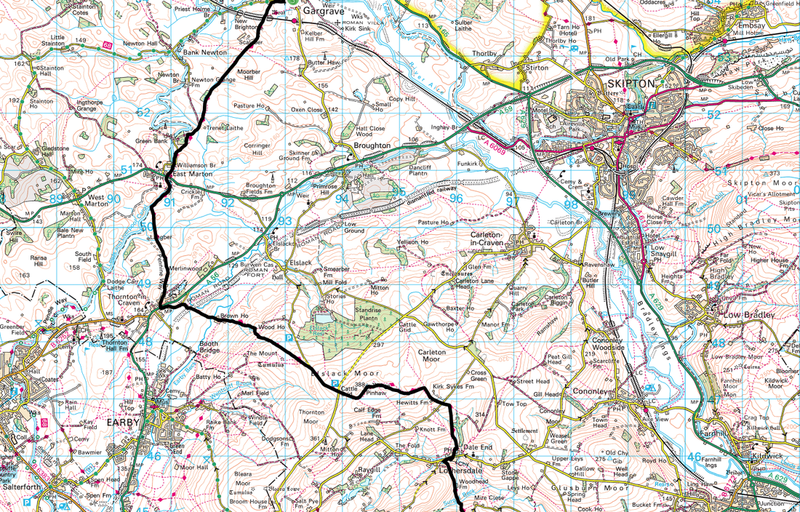 Gargrave is a lovely little town and at 107m is the lowest point on the Pennine Way - I can see us visiting here a bit more often. 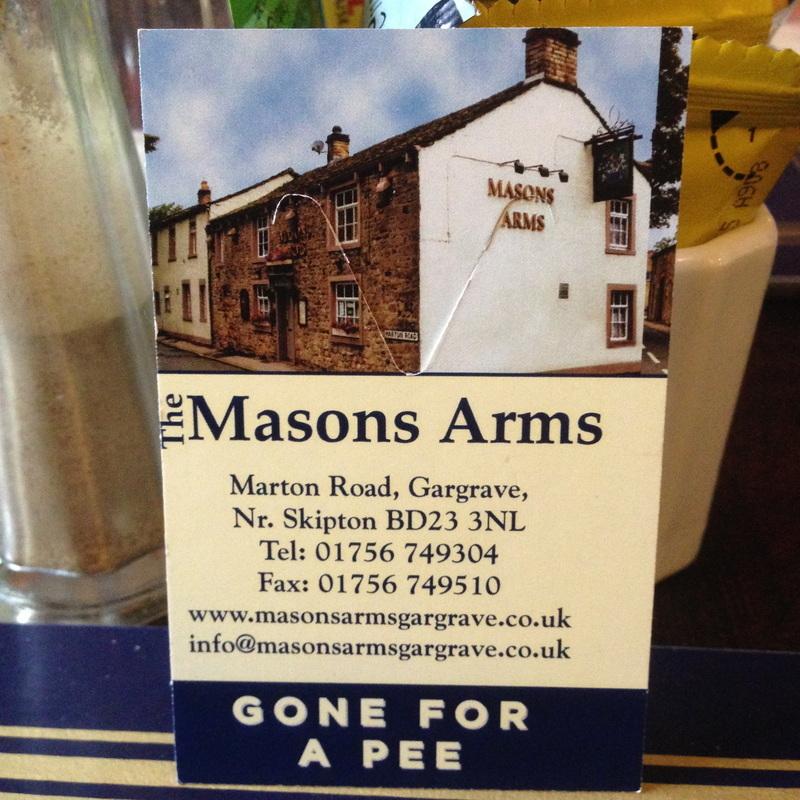 You can leave this on your table at The Masons Arms to save people nicking your spot! We were very wary about staying in pubs but this place allayed our fears. The rooms are adjacent to the pub therefore no loud noise and both the food and beer selection was excellent - Fudge even had a towel, bone and bowl provided. We were here on a Saturday night therefore the pub was heaving with a great atmosphere. John and his team looked after us very well, even reserving us a table for dinner without having to ask.